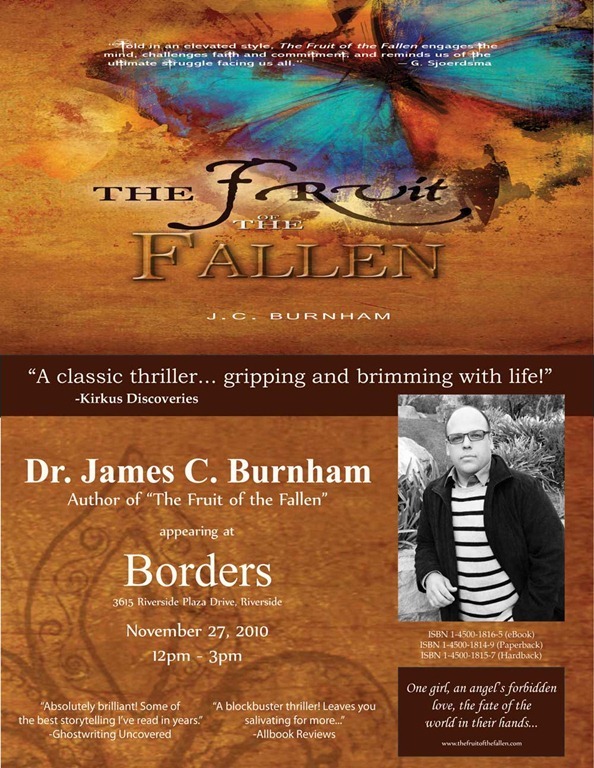 I am pleased to be able to post the advertising flyer that provides details about the upcoming book signing event. The creation took the better part of a morning (after an afternoon of rough drafts). I am content with the outcome, though I will say that this one is targeted at an audience who appreciates a good thriller. I will update the quotes to target a more Christian audience when needed. I hope to see you at the book signing!